Despite momentous legislative change to support and protect Lesbian, Gay, Bisexual and Transgender (LGBT+) people, they continue to report they experience or fear discrimination. This discrimination can present in differing contexts across LGBT+ peoples’ lifespan, often having profound negative effects on their interactions with society, educational attainment, and productivity in places of work. The need to remain often invisible, and not being able to be their authentic selves, fuels isolation, unhappiness and stress, in turn leading to known significant differences between the mental and physical health needs of LGBT+ people and those of heterosexual people. Discrimination also creates significant barriers to LGBT+ people accessing and receiving appropriate care and treatment, alongside a range of other services and employment. Higher education student and staff communities need to understand the needs of LGBT+ people and need to be able to challenge the barriers they face in receiving an equitable, respectful and dignified educational experience. In order for learners and the future workforce to address these inequalities, they need to see that their education provider is committed to creating a learning culture where students and staff can be positive role models, championing inclusivity for all, developing empathetic challenge and ensuring culturally responsive pedagogy. We need to commit to ‘acceptance without exception’. As the lead for a training project developed here at Cardiff University, (in collaboration with an expert external Social and Organisational Change Consultant in a collaborating role), aimed to equip our University student and staff communities to advance an inclusive learning and teaching culture for LGBT+ people, I, (and project working group colleagues), are frequently asked the following most relevant questions, as people attempt to understand why this needs particular attention. Here I provide some personal thoughts and reflections to those questions. Why is it important for LGBT+ students, academics and professional support staff to be visible? Visible LGBT+ students, academics and professional support staff are powerful and empowering role models, particularly for LGBT+ people in our community who might be reticent, and not feel comfortable in being their authentic selves. They can help to challenge marginalisation, discrimination and stigmatization that LGBT+ people often experience or fear. Their visibility, showcasing their achievements, and ability to succeed, can act as a strong catalyst, allowing others to see that it is possible to achieve. They demonstrate that people perform better when they are authentic and that diversity in teams enhances breadth of experience and productivity. Their openness and visibility too can raise awareness of the particular challenges that LGBT+ students, academics and professional support staff can often experience in places of study and work, and can support the need to proactively embrace diversity and difference, and challenge predominant heteronormative approaches in study and work environments. Their visibility can promote ‘a sense of safety’ in study and work environments. Their visibility and ambassadorship will inspire future LGBT+ students and staff to realise their ambition and potential and make positive choices to study/work, and to consider pursuing programmes of study/careers that they might otherwise perceive would not be suitable, or indeed welcome them. What are the benefits of a diverse Higher Education community? Ensuring a diverse community in Higher Education learning and teaching environments enhances breadth and depth of exploring ideas, raising questions and providing solutions (often to very challenging questions) bringing richness beyond the traditional and dominant heteronormative approaches. Diversity in scientific communities (STEM in particular) challenges dominating traditional public perceptions of what a scientist is, ([usually] male, white, ‘straight’), and can enhance the engagement from LGBT+ people if they see themselves positively represented and welcomed in these disciplines. Ensuring diversity in research communities also ensures that the approaches to advancing knowledge, and research design, methods, samples etc. are inclusive of people who belong to minority communities. What can LGBT+ allies do to support the LGBT+ community in teaching and learning environments? 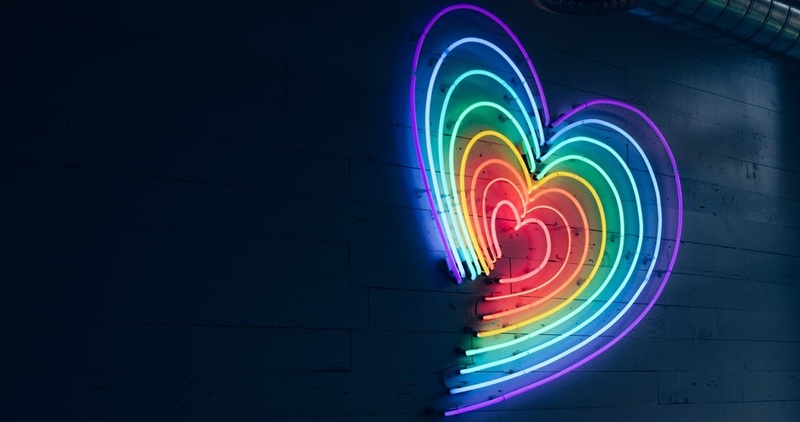 Allies, as visible role models, can proactively engage empathic challenge to those who are reticent in supporting and recognising the LGBT+ scientific community members. Allies listen to LGBT+ community and act as ‘active bystanders’ helping to champion those LGBT+ issues that need to heard and represented. Allies may be in powerful positions to provide a vehicle to promote positive change for LGBT+ people with those in positions of authority in our study and work environments. Allies support and empower the LGBT+ community. Allies provide valued support to identifying barriers faced by LGBT+ people and can enable more inclusive approaches within our places of study and work. Allies contribute their expertise to advocate for, support and participate in specific relevant LGBT+ research. Allies acting as mentors for LGBT+ people demonstrate a willingness to mentor someone different to themselves. Allies can be powerful in identifying, addressing and mitigating against ‘gaps’ in an inclusive curriculum and teaching and learning environments where some minority communities are overlooked, not represented or visible. Maurice is facilitating a workshop on ‘Advancing LGBT+ Inclusivity Across Higher Education Teaching & Learning Environments’ on Monday 18 February. This session is open to all PhD students and booking is essential.